At Uptown Chrysler Dodge Jeep Ram, our beautiful selection of new Jeep SUVs is the perfect place to look if you're considering a Jeep lease in Slinger, Wisconsin. Before moving forward with one of our Jeep leases, however, it's a good idea to ask yourself if an auto lease is the best option for your lifestyle. While auto leases are fantastic for some, they aren't for everyone. If you're looking to trade in your car every few years for a newer, more expensive model, and if you're interested in a lower down payment and lower monthly car payments, an auto lease might be for you. If you do a lot of driving throughout the year, however, and put more than a normal amount of wear and tear on your vehicles, an auto lease might not be a good fit. Most car leases come with an annual limit on mileage, somewhere in the realm of 12K. Are you excited to own your vehicle and have the freedom to drive it as much as you want? If so, you'll want to explore an auto loan or Jeep financing program. Get in touch with our auto financing center to learn if a Jeep lease makes sense for your budget and goals! Here at Uptown Chrysler Dodge Jeep Ram, our Jeep SUV lineup includes popular models like Jeep Grand Cherokee and Jeep Cherokee SUVs, as well as Jeep Compass, Jeep Renegade, and Jeep Wrangler SUVs. Not sure which amazing Jeep SUV model to pair with one of our topnotch Jeep leases in Slinger, WI? 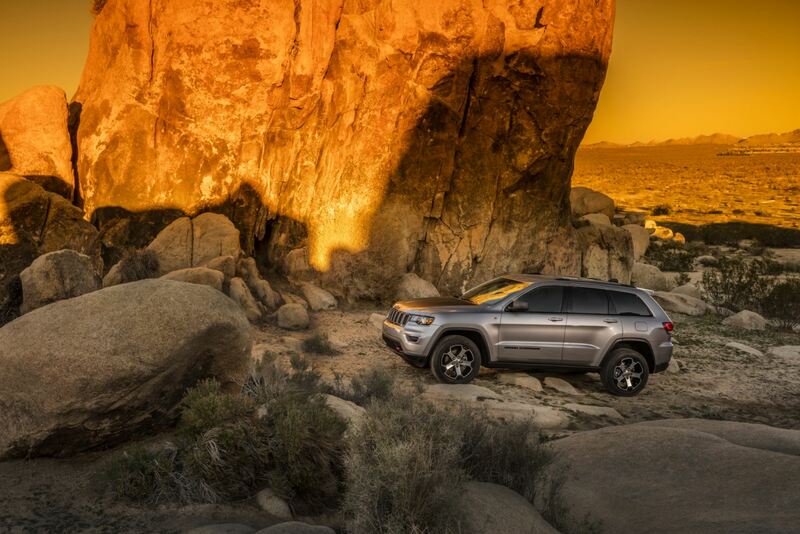 Confident and capable when it comes to taking you everywhere you want to go in Slinger, WI and beyond, our Jeep SUV models are ideal for transitioning from in-town commutes to off-road adventures in the blink of an eye. No matter the Jeep SUV style that speaks to you, you'll discover endless opportunities to load up the gear, pick up friends, and let loose in the great outdoors. Explore our new inventory, then schedule a test drive! In addition to our affordable Jeep lease options in Slinger, WI, we also have a number of other outstanding ways to help you stay within budget and get inside the Jeep SUV of your dreams. Not sure about your credit? Our auto finance specialists are here to work hard on your behalf, no matter your current credit situation. And with options like customized Jeep financing, competitive auto loans, and much more, we're guaranteed to have something that works for you. To learn more about everything we have to offer, including how you can get top trade-in value and a premium Jeep lease in Slinger, WI, do yourself a favor and give our finance department a call now.